What is the English program about? English matters. Language and culture shape our world. They influence how we live and how we engage with the lives of others. Through reading and writing we learn, we create, and we dream. Our program introduces you to the world of writing in English. We explore what it means to be human by reading some of the best and most loved books and stories of the ages, and we foster the skills that will help you become the best critic and writer you can. From fiction and poetry to theatre and film, television and the Internet, discover the many ways to read texts and genres in their cultural and historical contexts. And you can choose to engage your passion for writing by creating your own works of literature. English is your ticket to explore, examine, and create new worlds. Did you know you can combine the academic rigour of a PhD in English with the creative support to get your novel down on paper and into print? 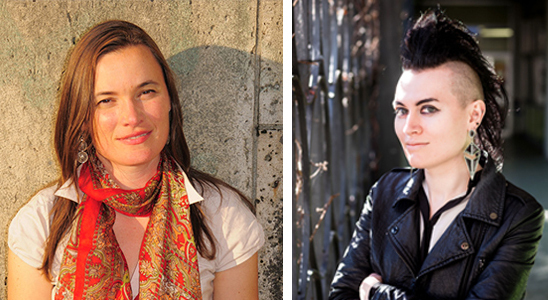 Two award-winning early career novelists are doing just that. 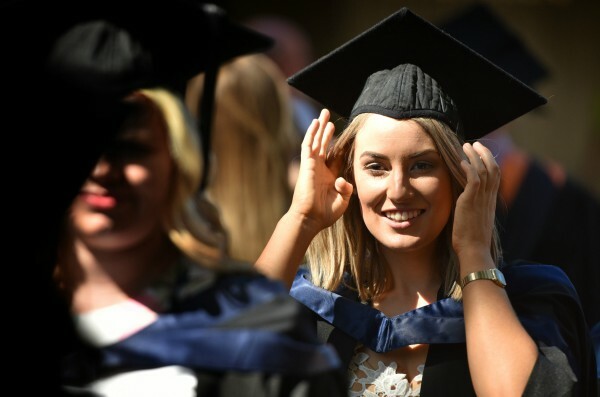 Whether it be English or Australian literary studies, creative writing, theatre and screen studies, or cultural studies you can follow a number of pathways. With a choice of units, covering key literary texts, genres, and movements, learn about the kind of writing that most engages you and in turn develop your skills as a writer. Undertake a major (eight units) or minor (four units) in English on-campus in Hobart, Launceston, or from anywhere online. Learn from nationally and internationally recognised expert staff who have published numerous monographs and broadly in journals and edited collections. Choose from overseas study opportunities – one week to one year – including programs at some of Europe’s leading universities. What careers relate to English? 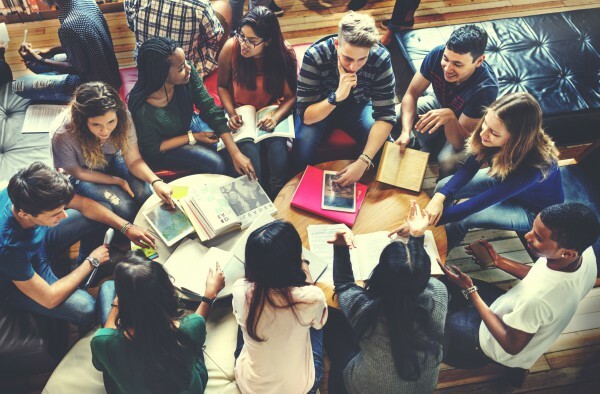 English equips students with valuable and transferable skills, including: how to read critically; how to develop an argument; how to think independently; how to communicate well, both in writing and orally; how to present information effectively; and how to work as part of a team. English graduates are found wherever employers value people who can write well and are smart researchers. English graduates work as teachers, writers, editors and publishers, and arts administrators. They also work in advertising and the media, the public service, law, politics, and high-profile positions across business and industry. How can I learn about English? We offer an undergraduate major in the Bachelor of Arts degree, an Honours programme, and research degrees at both Masters and PhD levels. Our units explore a wide range of areas, including: literary classics, contemporary literature, Shakespeare and Renaissance drama, modern drama, nineteenth-century British literature, Australian and Tasmanian literature, colonial and postcolonial fictions, literary theory, popular genres, fictions of the non-human, screen studies, modernism, scholarly editing, and creative writing. The English program's comprehensive range of units (which can be identified with HEN in the unit code) are delivered on-campus and off-campus. You will also have the opportunity to apply for an international exchange, enabling you to broaden your study of English at some of Europe’s leading universities. Each course and unit is linked to its own page with more detailed information and entry requirements on the Courses & Units website. Your learning experience in English goes beyond the lecture and tutorials. You will be taught by experts, and gain perspective from guest lecturers and forums; gain a competitive advantage with real-world experience prior to graduation; study abroad for a fortnight, a month, a semester or a year, as part of your degree; have options to complete your studies your way, whether on-campus, online, part-time or full-time; pursue your passion or specialisation with a range of scholarships, bursaries and financial assistance programs, or meet your career goals with our pathway options. The College of Arts, Law and Education, including the School of Humanities and English, offers a growing collection of units that are available to be completed either wholly or partially online to enable flexible study. * The online availability for each unit is indicated on each individual unit page under ‘Availability’, then ‘Attendance options’ by the ‘Off-Campus’ icon . As a student of Humanities both the University and the School provide access to a variety of scholarships and bursaries at a University, College of Arts, Law and Education and Discipline level. The main application period begins in August, and closes on the 31st October the year prior to study commencing. Don't meet the traditional entry requirements? The School of Humanities offers an alternative entry pathway into our undergraduate programs. The Arts pathway is a great introduction into university study, and can assist you in gaining the qualifications and experience you need for your chosen career. This foundation year of study provides students with the skills and knowledge related to studying the arts and social sciences, with additional support and guidance to help you succeed. If you would like to study a Bachelor of Arts, completing this year of foundation study in Diploma of University Studies (Arts Specialisation) (21A) will assist you in achieving your goals. We offer a collegial, supportive environment, with experienced supervision, regular seminar series, research skills training, and many opportunities to work with peers and academics on your areas of interest. We supervise across a range of methodologies and conceptual/theoretical approaches, and encourage scholarship that draws on ideas from across diverse fields. Choose a research topic that reflects your interests and identify a supervisor with the expertise to guide you in your research. Search for a discipline staff member via our staff profiles, or by their area or expertise through the University Research page. The School of Humanities welcomes qualified applicants to undertake a research degree with us in any of our areas of research strengths and interests. We welcome proposals from qualified applicants to undertake research degrees at both the Masters and PhD levels, and are pleased to discuss cross-disciplinary research proposals. Could the future of the Antarctic depend on literature as well as science? Elle is studying the passion for literature that the hostile continent of Antarctica evokes, and the power in turn of literature to influence what we think and feel about Antarctica. 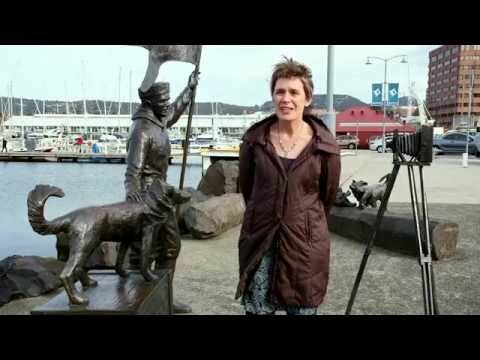 Her work highlights the need for a presence of the humanities as well as the sciences in Antarctic research.